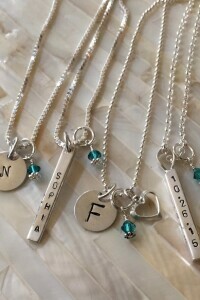 Personalize a hand stamped necklace with a name, initial, milestone date or meaningful message from your heart that tells your story. 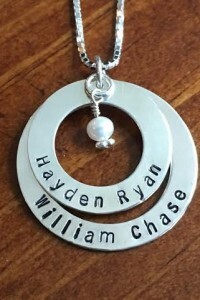 Crafted from sterling silver, pearls and birthstones, customize a unique gift today for someone special to wear close to their heart. 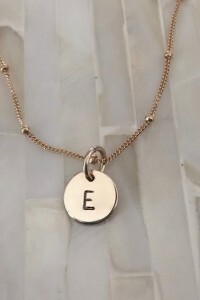 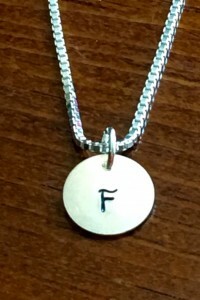 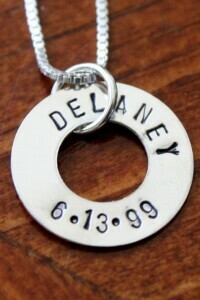 Sterling silver gold link necklace personalized with the names of your children, special date or custom message. 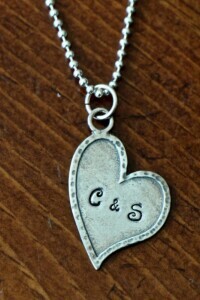 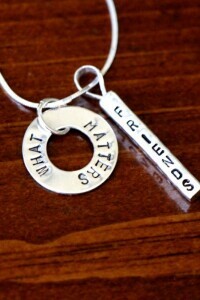 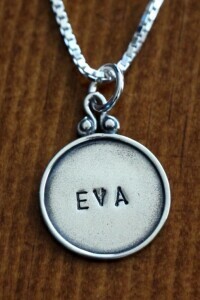 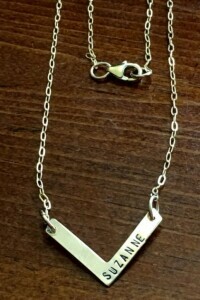 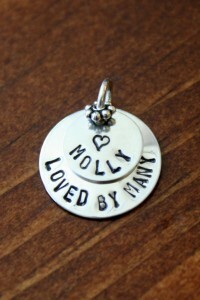 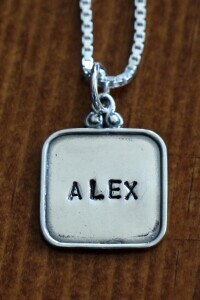 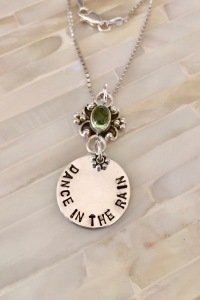 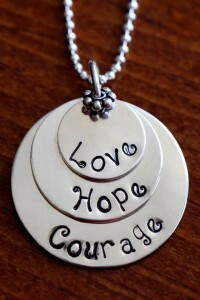 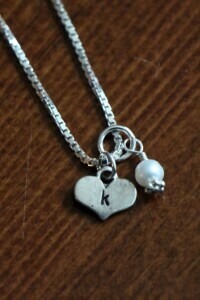 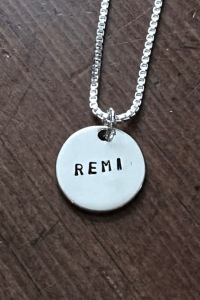 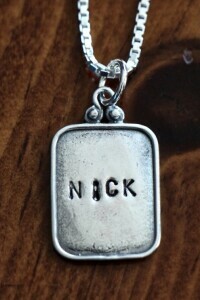 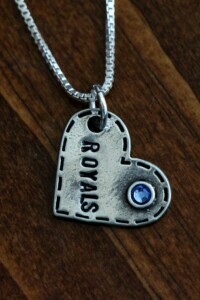 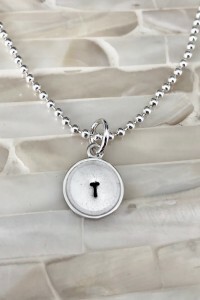 Sterling silver, hand stamped necklace. 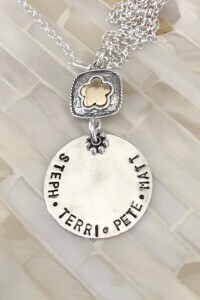 Gold filled flower link. 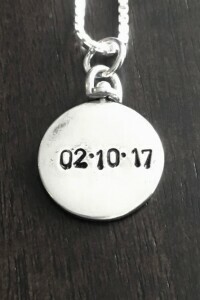 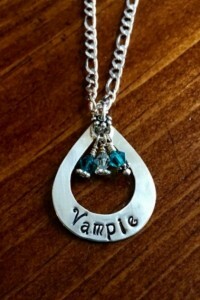 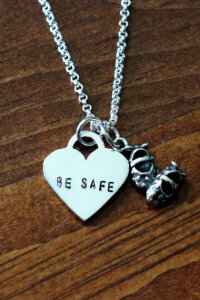 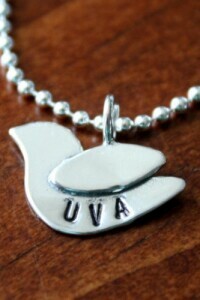 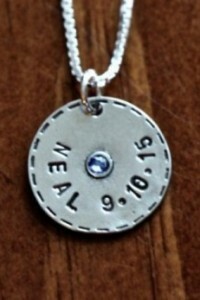 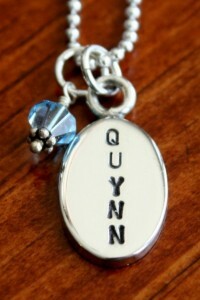 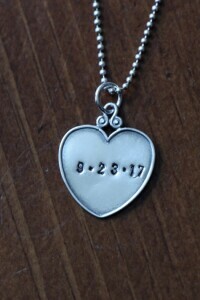 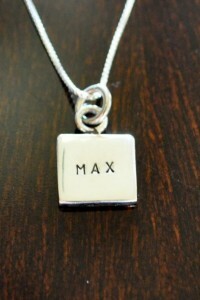 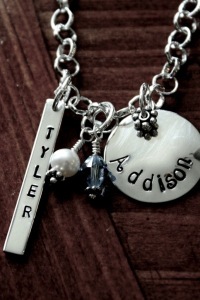 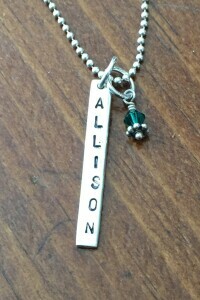 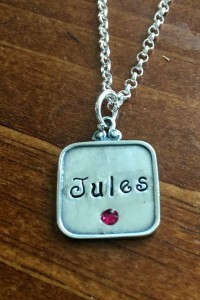 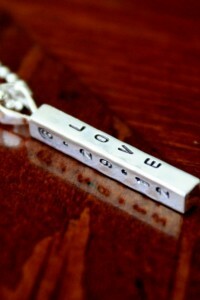 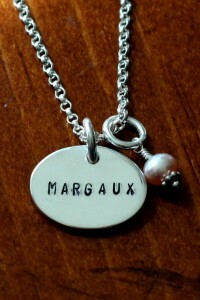 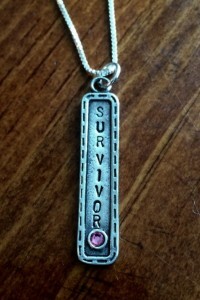 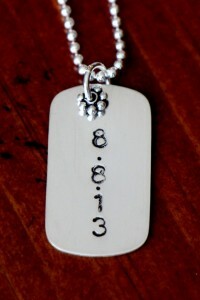 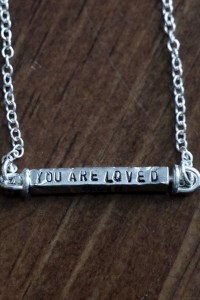 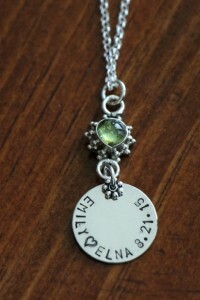 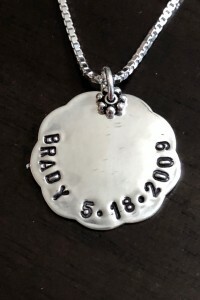 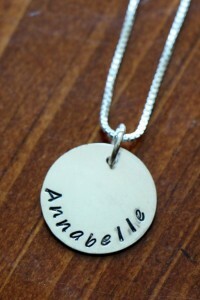 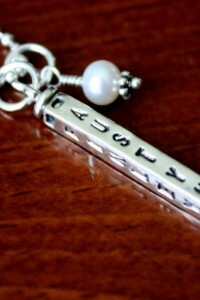 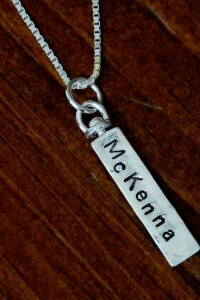 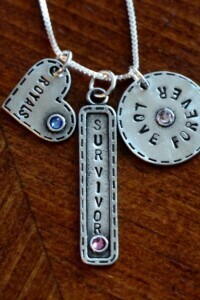 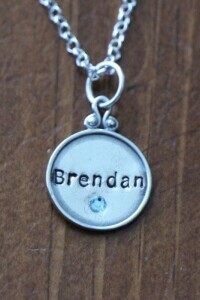 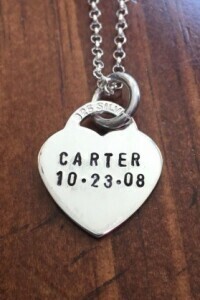 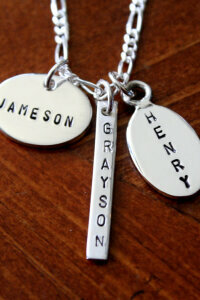 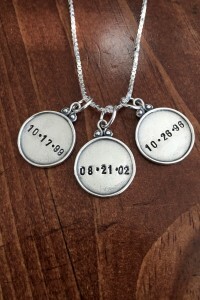 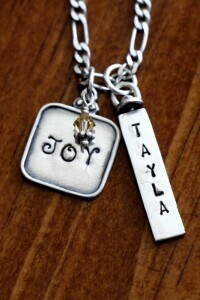 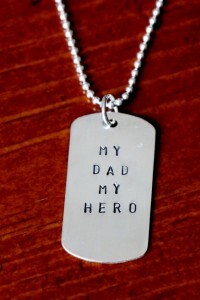 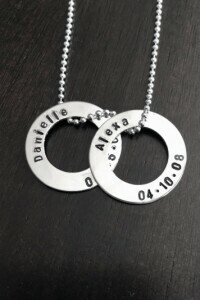 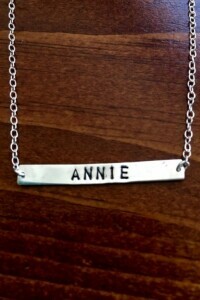 Personalize with names, date or custom phrase.